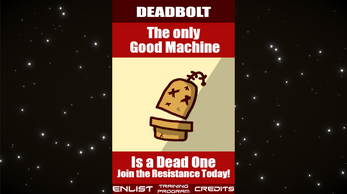 View all by Marc T.Marc T.
Deadbolt is a top down Fast paced Action Space Shooter where you play as a Resistance fighter trying to overthrow your Machine Overlords. 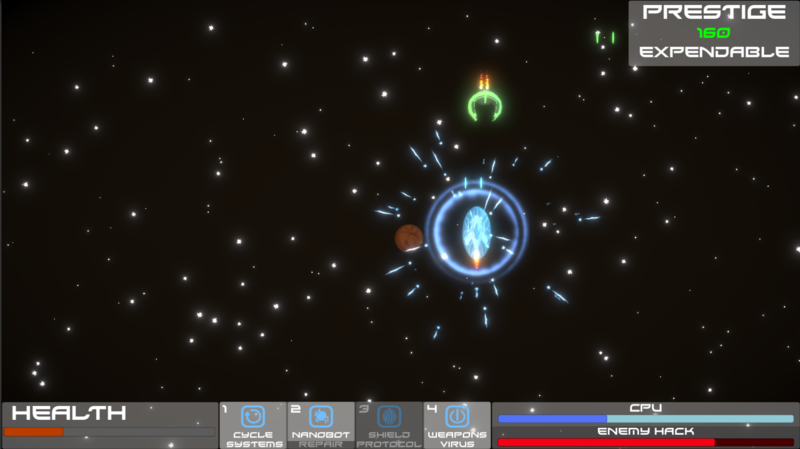 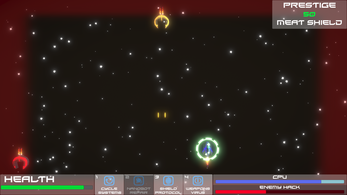 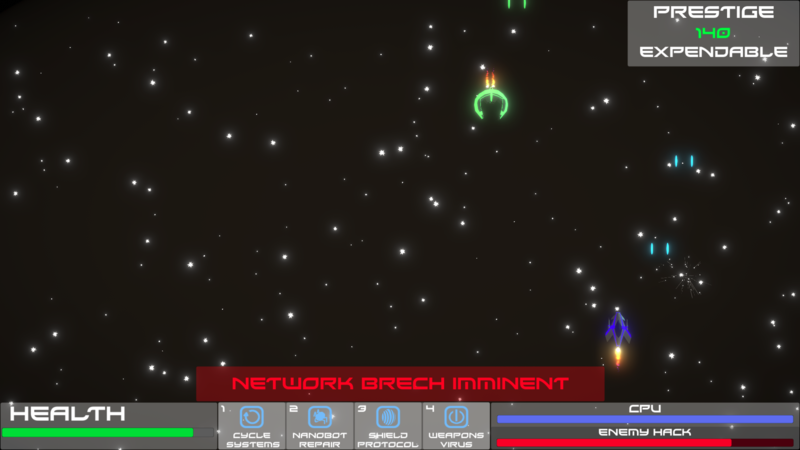 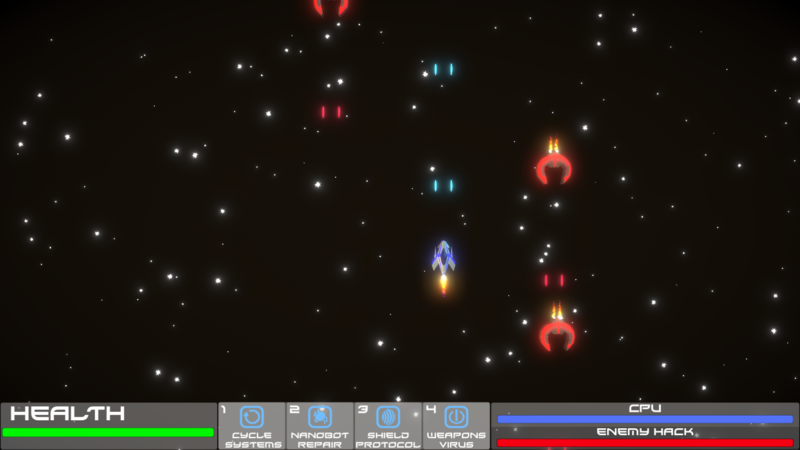 In the Game you can make use of your Ship's CPU to trigger abilities like Healing or viruses like the Enemy Weapon Hack. But as you play the enemy is also trying to hack your ship and you must decide if you will spend CPU to reduce their progress or if you will try to live with the negative effects of successful enemy hacks.